All work is for sale unless indicated as sold. 1948: I was born in London Ontario. 1969: graduated as Fine Art major at H.B.Beal Tech Secondary School, London, Ontario. 1969-70: worked in Art Department of H.J.Jones Lithography Co., London, Ontario. 1971-72: worked and travelled through Canadian arctic, south Pacific and western Europe. 1973-74: graduated from 2nd and 3rd years of three year Fine Arts course at Fanshaw College, London, Ontario. 1975-82: each winter, painted and exhibited in London and Toronto - each summer, took labouring jobs through out Canada: tobacco picking, railraod worker, gold miner, deckhand, shipyard worker and logger. 1983-89: lived and worked in Toronto as a carpenter supporting a new family. 1990-98: self employed, sculpting presentation models and prototypes for the plastics industry. 1999-01: commissioned to design, and oversee production and installation of major bronze fountain sculptures for an international corporation in Hamilton Bermuda. 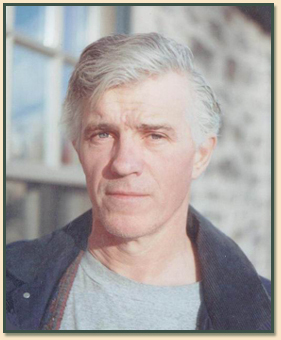 2001- : I'm currently living, painting and sculpting in Lanark County,Ontario. My work is found in private collections in Canada, the United States and Europe. Currently, John A. Libby Fine Art, represents me in Toronto and Le Portal Art Tour represents me in Quebec City. All images on this web site are copyrighted and may not be reproduced or used in any way with out written permission from Ron Cowle.